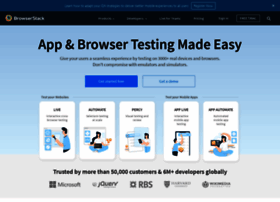 Instant access to 2000+ browsers and real iOS and Android devices for cross browser testing. Ship apps and websites that work for everyone, every time. Get Free Trial.